Dhansak ~ a dal mismash! With the rain lashing out on the window sill, the occasional speeding vehicles racing away, the only other sound I can hear right now, is my own keys notes and the ceiling fan. Not really an ideal way to pass a Saturday night right. But then Dhansak has kept me awake. You wonder what it is? Well one of those first things I learnt after couple of months into blogging, were some typical dishes that got imprinted in mind and would never go away. One such dish is the Dhansak. I must have read about it so many times, glanced and memorised the recipe as well. Somehow I never came around actually making it. Well when I decided on Main Course dishes, there can’t be a more apt dish than this Dhansak. 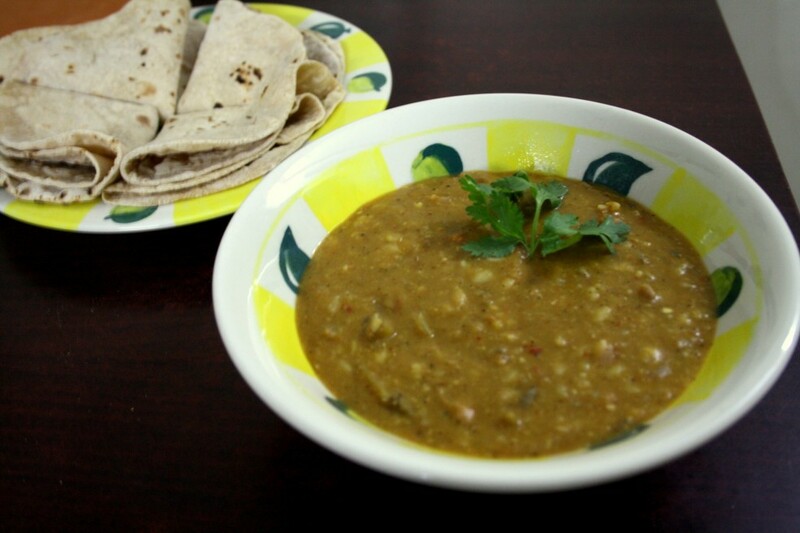 Dhansak is dish that’s made with Dals, Vegetables and Meat. When I researched further, it’s written that apart from Parsis making it, the Gujarathis also make it. I had a recipe written down passed on by a friend from one of my groups. She is either a parsi or got this from them, I am not sure. However I remember reading her saying that this is how it’s done at her home. Well when I went through couple of sites, I realised this is as much like the sambar we make. You can’t simply count the ways one makes this. The list of what goes in, sort of remains, how and when it goes and what gets eliminated, all depends on the fancy of the cook. With that privilege in quotes, I decided what goes in really. Of course there is no meat. And for the spice, I adapted from here. For the rest, it pretty much was as how the recipe I had written down. I also read that puréeing the dal, vegetables are personal choice. So I almost left it as such as I realised that hubby dear may not appreciate baby food being given. As such yesterday when I made it, the entire day was more of the BM day, with all meals catering to one theme or the other! I had forewarned them that it will be so, luckily all the dishes ended up being a success. So looks like I fretted without a cause. The fear was unlying all the time, if this ended up a flop, I would become a Dhansak I knew! Coming to the recipe, this calls for nearly 4 -5 different dals to be added. 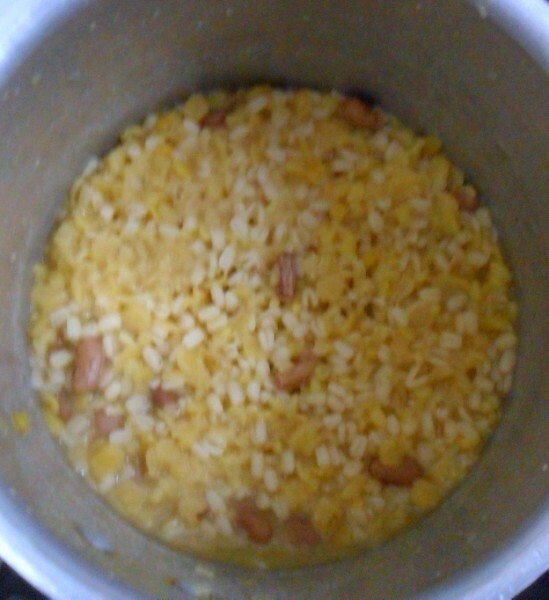 Be cautious in adding just a fistful, else you will end up with more dal than you can manage. This is served with rice or roti, I knew pulkas would be a better choice by the looks of the dal. So phulkas rose to the occasion. 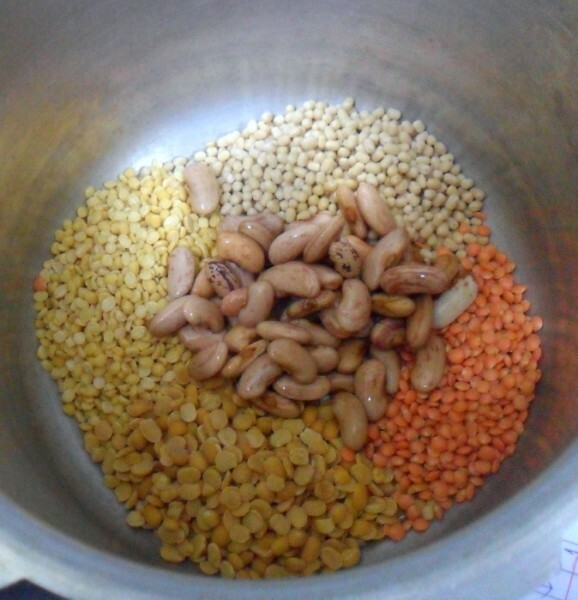 Rajma can be soaked for nearly 6 -7 hrs before making this. Then take all the other dals along with Rajma in a pressure cooker and add almost 3 times the water. Pressure cook for 4 -5 whistles. 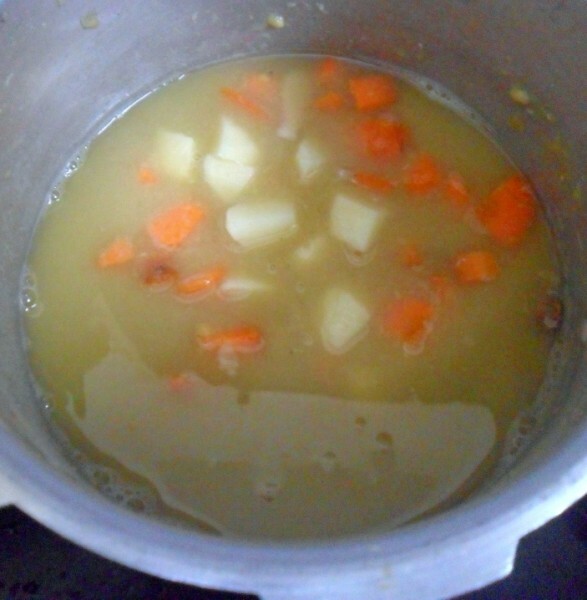 Once the pressure falls, remove the lid, add potato, carrot, half of eggplant and pressure cook again. Dry roast all the whole spices and grind to a smooth powder. Keep it aside. In the same pressure cooker, wash and heat again. 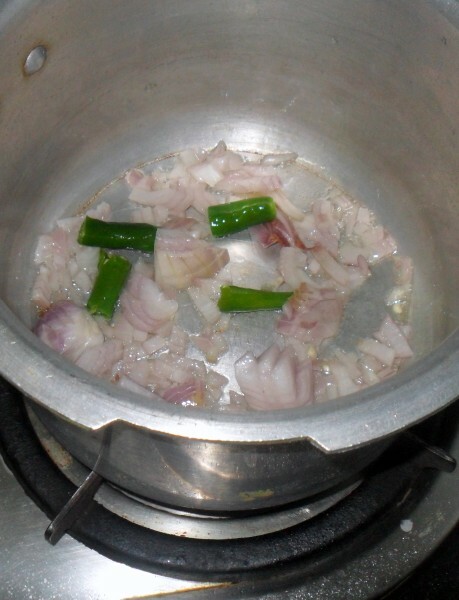 Add oil, saut the finely chopped onions along with green chilies. Then add ginger garlic paste, then tomatoes, remaining eggplant, green pepper. Saute till the tomatoes are almost done. Add the boiled dals, mash well and add more water if required. 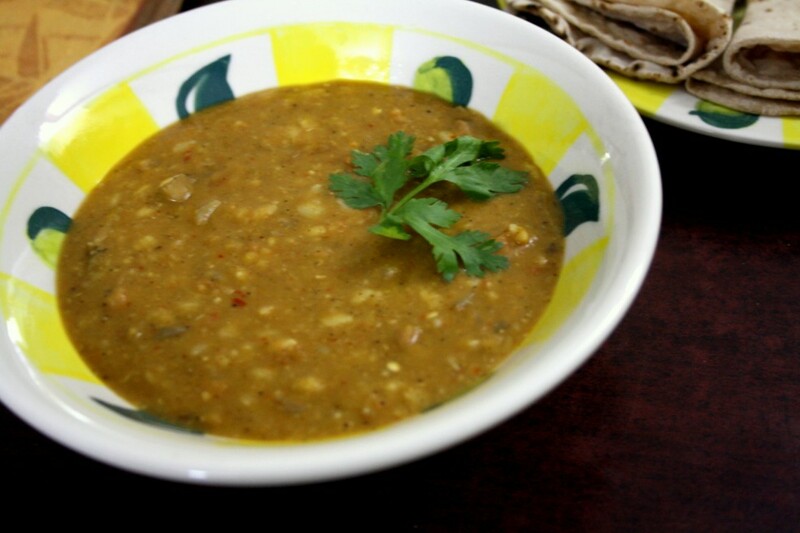 You can puree all of the dal and vegetables or choose to leave it as such. If you want to make this using non veg, guess you can pressure cook it separately by the way the recipe goes. The dal ends up being very thick so plan your dal measurement accordingly. Protein packed dal, i dont mind having super thick dal like this..A prefect pair for rotis. Book marked..this surely has been on my list…but some how gets postponed every time…now with a book mark will try it soon.Sounds delicious. 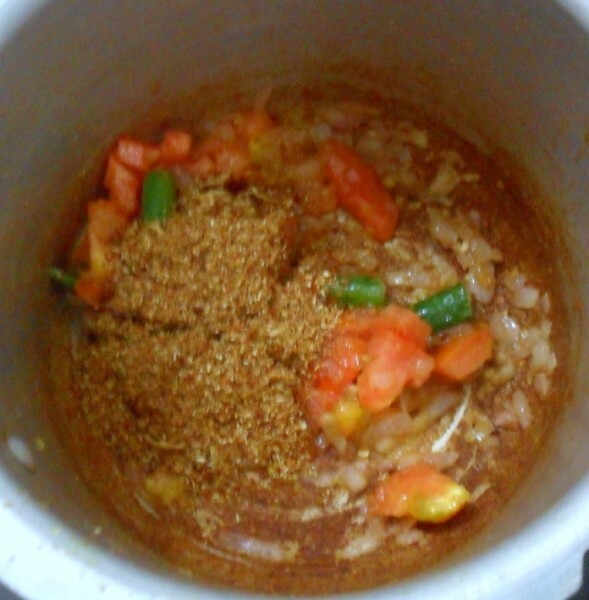 A healthy and wonderful preparation for Phulkas and rice! 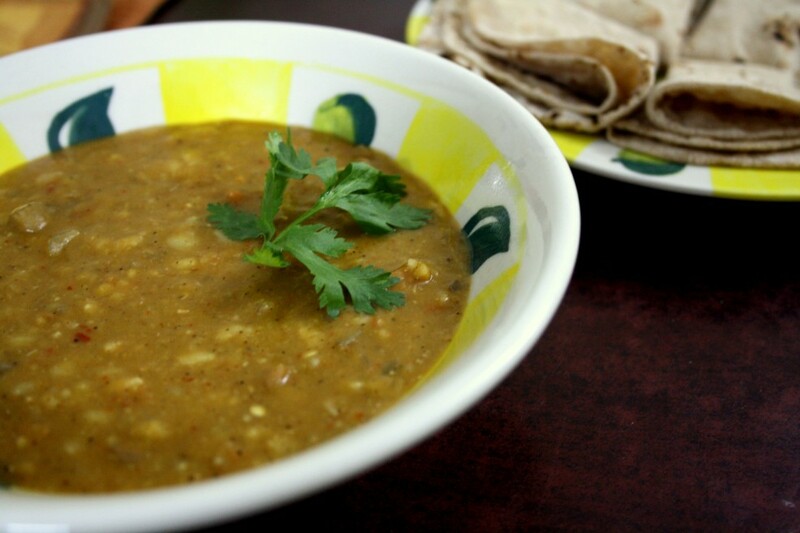 Very nutritious and power packed daal. This is new to me and looks very nice..
wow…very healthy n yummy dal..
Dhansak has been in my to do list for a long time. Your version makes it look so easy. What a delicious and flavorful dal. Love the name and the ingredients in it. Oh yea, this is one recipe that I still put off making and has been on my list ever since I started blogging! !And most of these nights the 'key sounds' keep me company along with the sound of leaves rustling in the wind. Its kind is eerie sometimes! 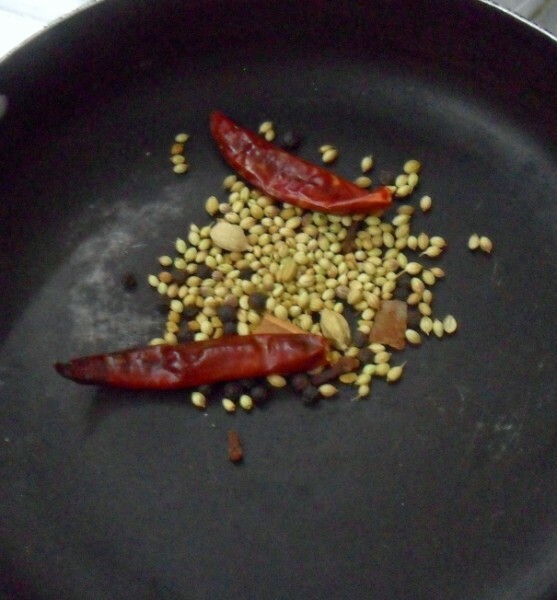 I have never tried a curry with a mix of dals… looks yummy .. will let u know.. ven i have tried…. I absolutely love the dish…looks so healthy and nutritious! I'm gonna try making it …. Very interesting!! Love the blend of dals!